Join us for weekend full of fun for the garden enthusiast. Explore the beautiful hot and cool Summer flowering borders and join in a tour of the garden with Jeremy Francis, the creator of Cloudehill. 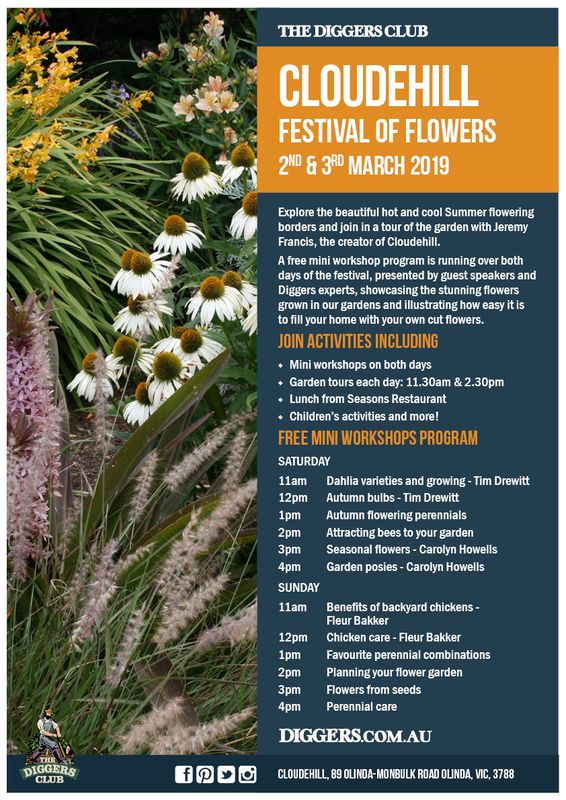 A free mini workshop program is running over both days of the festival, presented by guest speakers and Diggers experts, showcasing the stunning flowers grown in our gardens and illustrating how easy it is to fill your home with your own cut flowers.